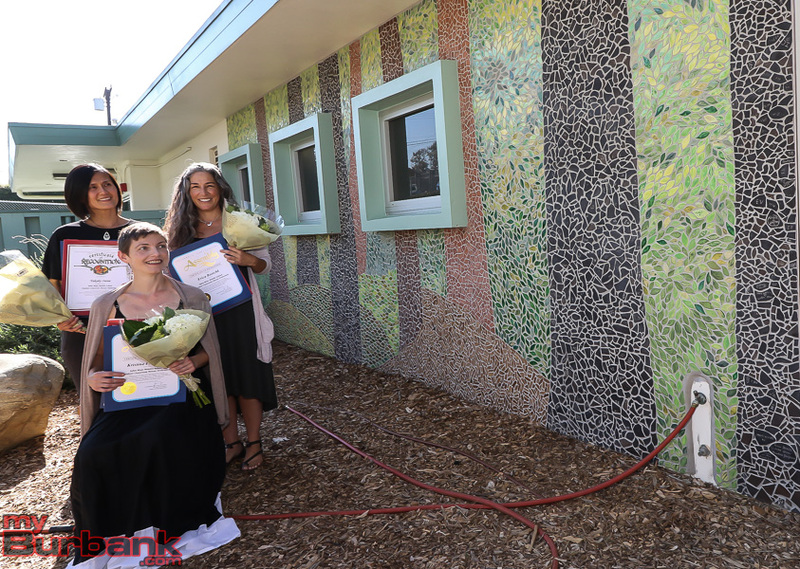 Three John Muir Middle School parents were honored by the school for their work in creating a large tile mosaic of Muir Woods on an exterior building wall next to the site’s Outdoor Classroom. 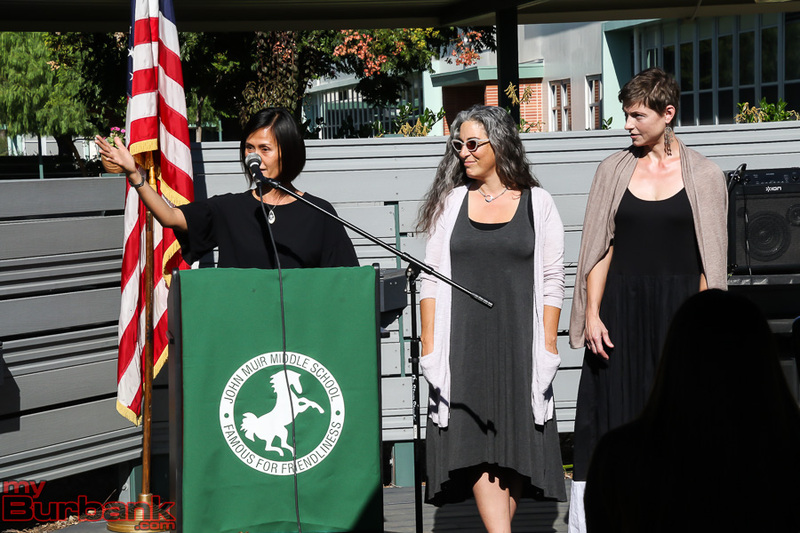 The Muir community gathered on Friday, October 26, to recognize the parents’ efforts. 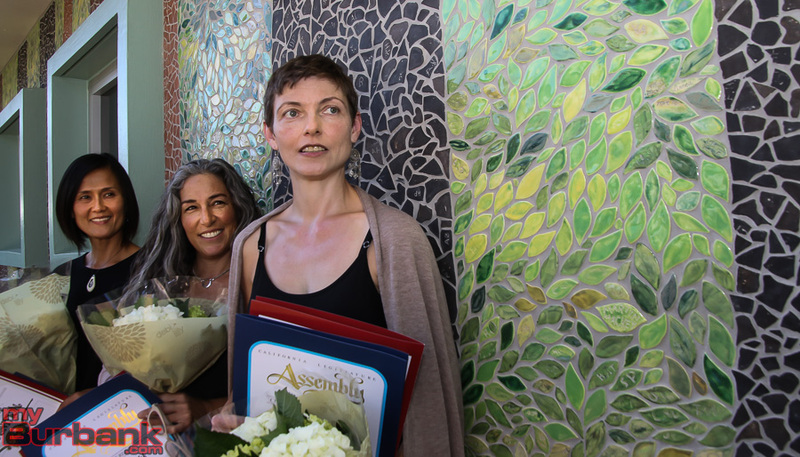 Erica Bootchk, Yukako Inoue and Kristina Panfilova worked for more than 1000 hours over the past year to create the 23.5’ by 9.25’ tile mosaic. The three parents used more than 18,000 tile pieces for the wall. 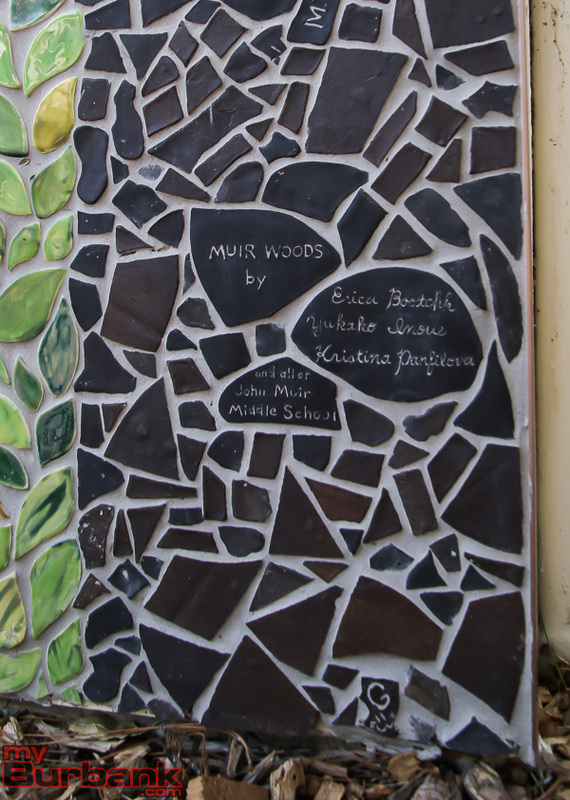 The women also worked with students and staff during the 2016-17 school year so that everyone on the campus that year has a piece they designed included on the wall. From August to November 2017, they installed the pieces on the wall. 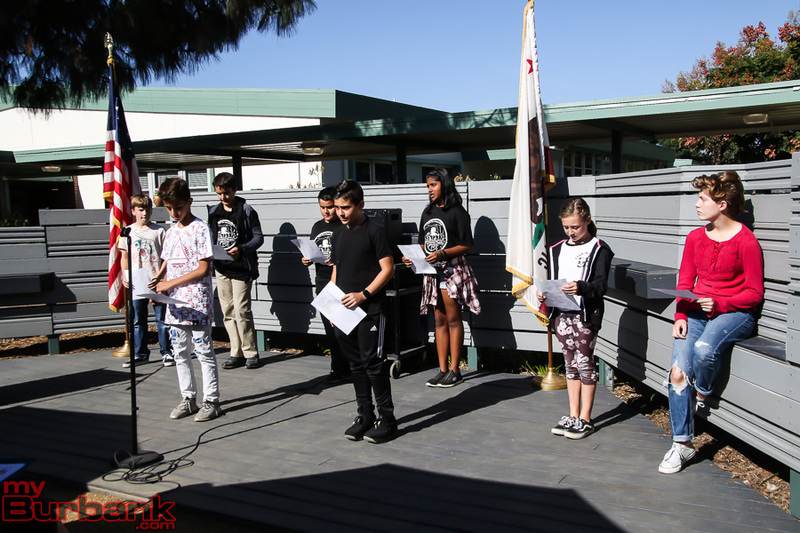 Students in Lynn Rothacher’s seventh-grade English class wrote a poem in honor of the occasion, based on a poem by Deborah Pope. 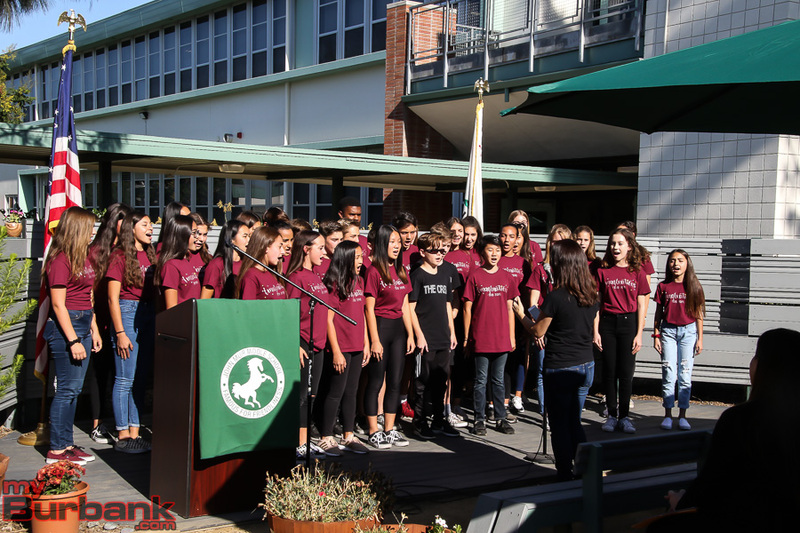 The school choir and band performed at the ceremony and Bootchk, Inouye and Panfilova were presented with certificates of recognition. 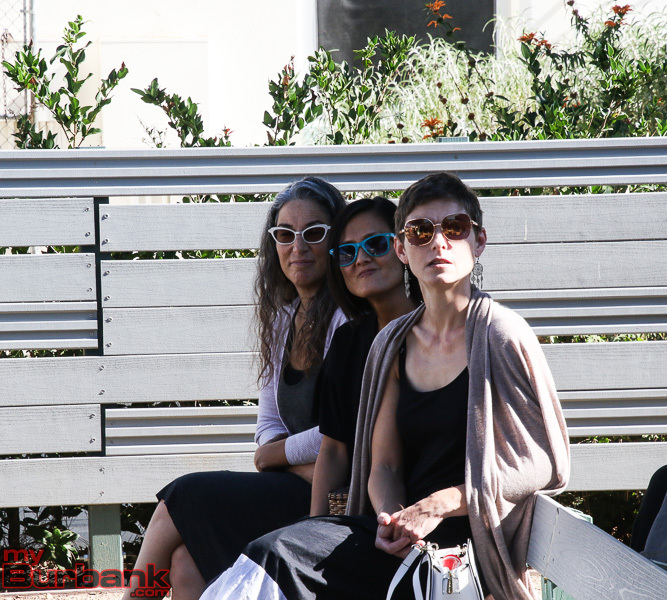 Representatives from Senator Portantino and Assemblymember Laura Friedman’s offices were also on hand to make a few remarks. 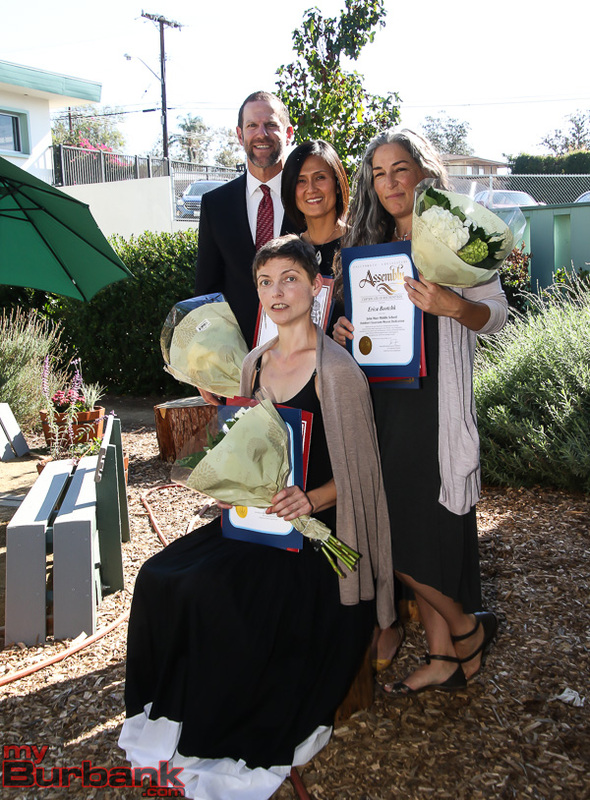 Bootchk, Inoue and Panfilova will also be recognized by the Burbank Unified School District Board of Education at the Thursday, November 1, meeting. 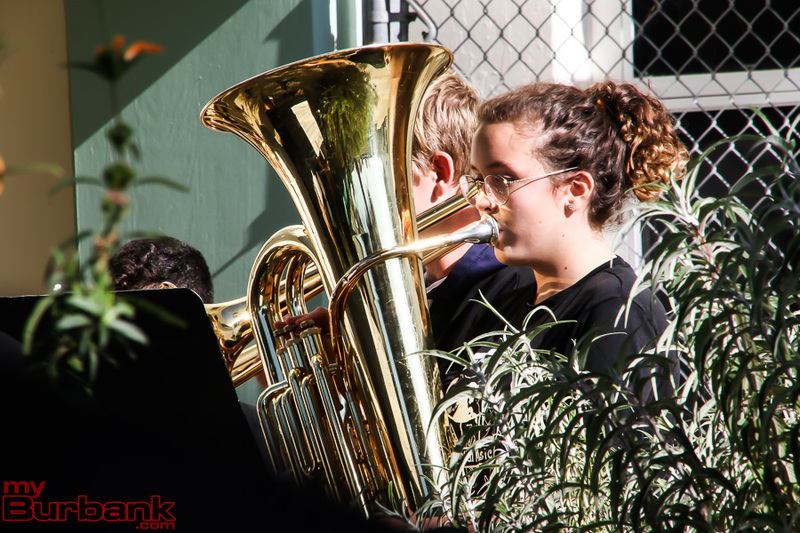 This entry was posted in News, Schools and tagged John Muir Middle School, muir woods on November 1, 2018 by Lisa Paredes.